The Tories are leading us to the national disaster of no deal, and they are too busy fighting each other to take responsibility. May’s deal is dead – the numbers don’t exist to make it happen. The EU27 have been very clear that there will be no renegotiation and this is the best that’s on offer. The numbers also don’t exist for the European Economic Area, which, much like May’s deal, would leave us poorer and without control of our own affairs. Somehow, the Tories have become so obsessed with Brexit that they are willing to contemplate no deal, despite the fact that their own assessments say that it would lead to the loss of three million jobs and cut our economy by £156bn a year. That would make the financial crisis, and any recent recession, pale into insignificance – all to manage their own, long-drawn-out civil war. The ongoing crisis in the Tories is an opportunity for Labour. We have the chance to lead, and to show ourselves to be a government in waiting. At the country’s hour of need, it is Labour that can lead the way from impending disaster to safety. To do that we need the right Brexit policy that will command a majority in parliament, and that will command support in the country. We are a democratic party. Members make decisions in branches, general committees and as delegates to conference. When we have a big decision to make, it is up to the members to make it. We did so in 2011 when we changed our membership system. Ed Miliband knew the changes needed legitimacy and held a special conference in 2014 to get members’ views. They voted overwhelmingly to support the changes and we are now the largest party in Europe. More recently, when the leadership wanted to ensure they were representing the will of the party over air strikes on Syria, they asked them directly in an online poll. There is an encouraging and real willingness in the leader’s office to listen to the party and to ensure members feel represented in vital decisions. 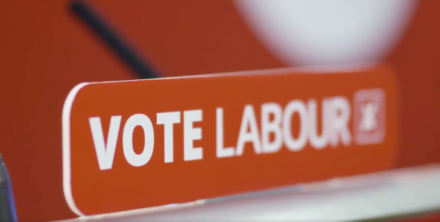 Just this weekend, Andrew Gwynne, Labour’s local government spokesperson, said that “our membership will decide what position we take in a referendum should parliament decide we are having one”. But we cannot afford to wait until a referendum is called – we should decide our position now so that the leadership can move ahead, confident that they are representing the views of Labour and trade union members. Our view is that the best way forward is a public vote on the deal with an option to keep our EU membership. 90% of Labour members support this position. We are confident that conference would support this policy. This isn’t a question of not supporting the leadership: 81% of Momentum members agree with us. Avoiding no deal is not a factional issue – in fact, it is precisely because we want to see a Labour government led by Jeremy Corbyn as soon as possible that we think taking the lead on this is so important. It’s the best thing to do for our country and the best thing to do for our party. As recent polling has shown, taking this stance will win Labour votes and seats. A special conference will allow the will of the members to be heard – and give the leadership a clear mandate and the backing it needs to fully back a public vote and beat the Tories’ disastrous Brexit. This is our best chance to prevent no deal and our best chance to get the Labour government we need.